Click image to view picture. No feed? No hay? No barn? You can still virtually adopt Flashy Elena! 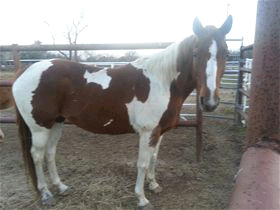 Flashy Elena is being evaluated by our training staff at Habitat for Horses. 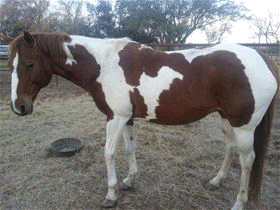 With a Sorrel and white painted style coat, a lovely horse to take into your heart. This older girl is looking for her forever home. Call us for more information. 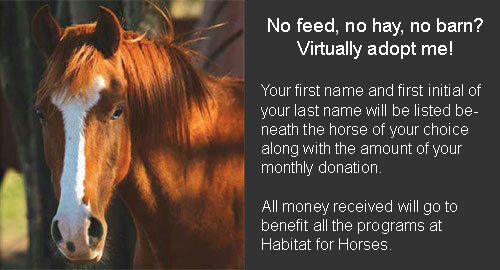 fill in you name and a name of a horse.